Stock Number: S1020C, Price: $ 65.00. $10.00, FRN, Series of 1934A, Fr. # 2006-C, Serial Number C42209231A. CHOICE UNCIRCULATED. Graded Choice Uncirculated due to a wider left side margin, the paper is crisp with natural paper wave. 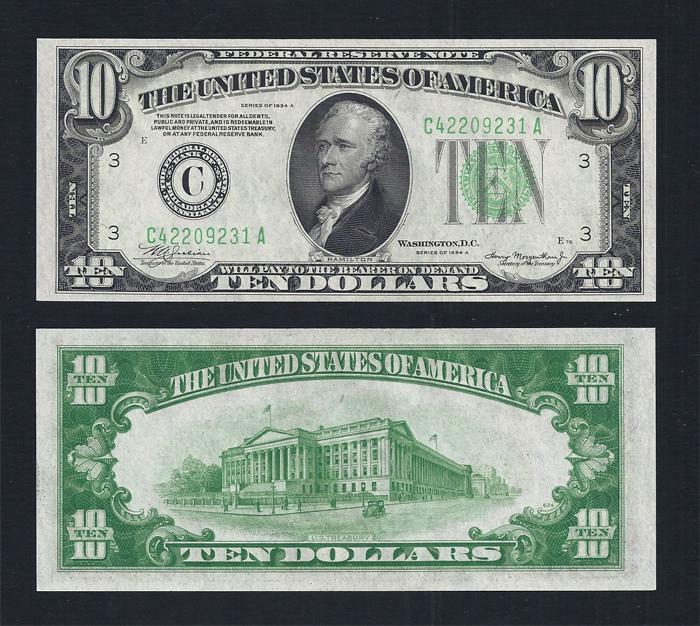 This Philadelphia Fed does show some handling on the left side, but the paper is bright white.